Miklósvár is the oldest documented settlement of Szeklerland. Its castle was first mentioned in 1211 AD as border fortress between the territory donated to the Knights of the Teutonic Order and the rest of the Kingdom of Hungary. 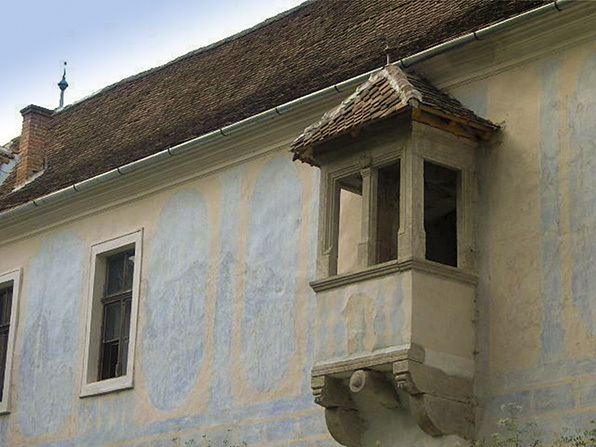 Today's castle was started in the 1500s as a hunting manor for the family and still contains many Renaissance elements, like painted wall decorations. It was abandoned the last fifty years and is currently under restoration. The Kálnoky's belong to the oldest magnates of Transylvania. Their ancestor Akadás was the first chieftain of a Szekler tribe to appear in history. His son Vincent was mentioned as Szekler chief and "Comes" in 1252 AD. Members of the family led the Szeklers in the defence of Transylvania for centuries, constantly having to fight against intruding Mongols, Turks and Tartars. 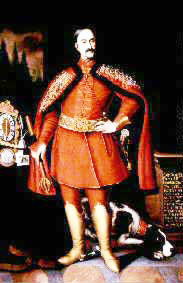 Bálint Kálnoki founded the comital branch of the family in the 1500s and was ancestor to Queen Mary (consort of King George Vth). 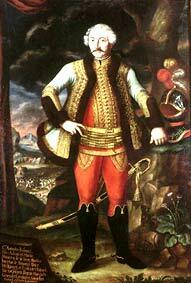 Sámuel Kálnoky became the first chancellor of Transylvania in Vienna and received the rank of count by the Hapsburgs (1697 full title: count Kálnoky baron of Kőröspatak). His son Antal set up the first Transylvanian regiment of hussars which remained in service until the end of World War I. He was the last to successfully apply war tactics inherited by the ancient Szekler riding tribes of the steppes, during the 7-year-war (1757). The elder branch of the family started a career at the imperial court and married mostly members of western European families. Gustav Kálnoky was prime minister of Austria-Hungary for 14 years under emperor Franz Joseph Ist, acting also as counterpart to Germany’s prince Bismarck. Hugo Leopold was celebrated best rider of the Austro-Hungarian monarchy in the late 19th century. He married countess Marie Mensdorff-Pouilly-Dietrichstein, a niece of Queen Victoria’s consort Prince Albert. 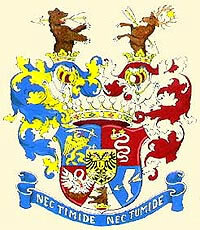 In recent generations Kálnoky daughters married into the Houses of Hapsburg and Hohenzollern, and into the reigning family of Liechtenstein. Today, the 25th generation carries on the family where it originated from: in Transylvania.